Broadcasting legend Mike Sweeney and his infamous Manchester Beat take to the stage in a show packed with 60’s classics. As lead singer of The Salford Jets, Mike had a string of hit singles in the 70’s and 80’s including ?Who You Looking At? and ?Gina I’ve Got A Cortina?. His music career has also seen him fronting 60’s hit band The Mindbenders (?Groovy Kind of Love? ? which later became a massive hit for Phil Collins) during the 80’s and 90’s, and time as lead vocalist with another legendary 60’s band, The Swinging Blue Jeans (?Hippy Hippy Shake?). 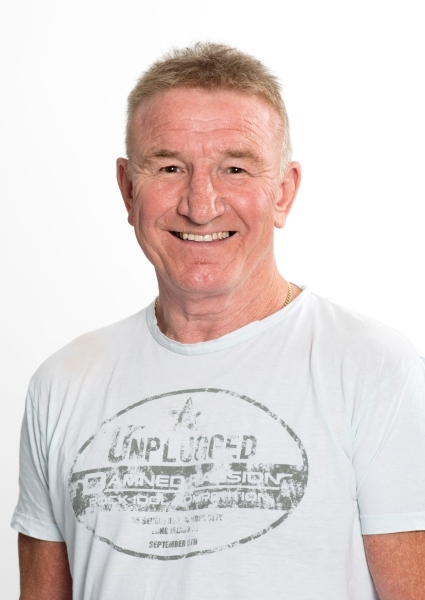 Mike is currently the host of BBC Radio Manchester’s Morning Show, where his absolute authority on music (particularly the sounds of the 60’s) coupled with his funny and straight-talking views unsurprisingly draw flocks of fans every day. Well known as The archetypal Manchester radio DJ, Mike was one of the first mainstream radio presenters with a regional accent, helping to pave the way for the likes of Gary Crowley, Chris Evans and Mark n’ Lard. As well as being a radio star and a bit of a rocker, Mike has also done lots of TV, including the anarchic pop show ?Elvis Has Left The Building? for Sky TV’s Granada Plus channel. The show was Mike’s concept right down to the theme tune which he wrote, the set which he designed, and the team captains, Noddy Holder and Clint Boon from the Inspiral Carpets, whom he chose.